As with any major retail company, Target Corp. must make supply chain adjustments to accommodate holiday shopping sales. However, seasonal inflation isn't the only reason the brand has recently overhauled its supply chain. Earlier this year, Target CEO Brian Cornell told analysts at StarTribune that the company was determined to restate its supply chain to give it a much-needed modernization. "Over time, Target has developed an incredibly complex supply chain built to serve an outdated, linear model in which products flowed from vendors through distribution centers to stores," Cornell explained to analysts, according to the source. As a result, he indicated, the company's in-stock levels were declining. As StarTribune noted, empty store shelves were one of the reasons why, earlier this year, Target was forced to close the entire Canadian branch, which consisted of 133 stores. As more consumers shop online and need packages delivered directly to their doorsteps, retail supply chains must take significant strides in avoiding inventory stock-outs. This, Cornell explained to the analysts, is why order fulfillment and distribution updates were especially needed. According to The Wall Street Journal, the company has spent approximately $1 billion on supply chain renovations this year. Target Chief Operating Officer John Mulligan told WSJ reporter Erica Phillips that the company spent much of the third quarter focused on preparing inventory management for the holiday season. In addition to accumulating the safety stock of essential products, it also increased investment in urban store development. Mulligan added that there was a 20 percent increase in e-commerce sales, an estimated 50 percent raise of many in-stock levels and overall inventory growth of 4 percent. When Target announced its third-quarter earnings last month, Cornell stated in the press release that the results were pleasing and, for four consecutive quarters, the company has seen an increase in both sales and traffic. "Our momentum is encouraging, especially in the face of stiffer prior-year comparisons," he said. "Our results highlight the benefit of a consistent, company-wide focus on our key strategic priorities, and that focus will continue to position Target well in the months and years ahead." 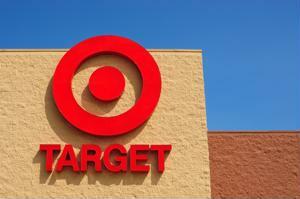 Target's recent quarterly report indicates progress in its effort to revamp supply chain operations. However, the overall success of these adjustments will be more apparent once the holidays are over and fourth-quarter earnings are revealed. I am interested in knowing how much spend they had for their business processes and organizational structures to support this transformation.